GRAVESEND, Brooklyn (WABC) -- The biological father of a 3-year-old boy clinging to life after a severe beating is speaking out about the toddler. 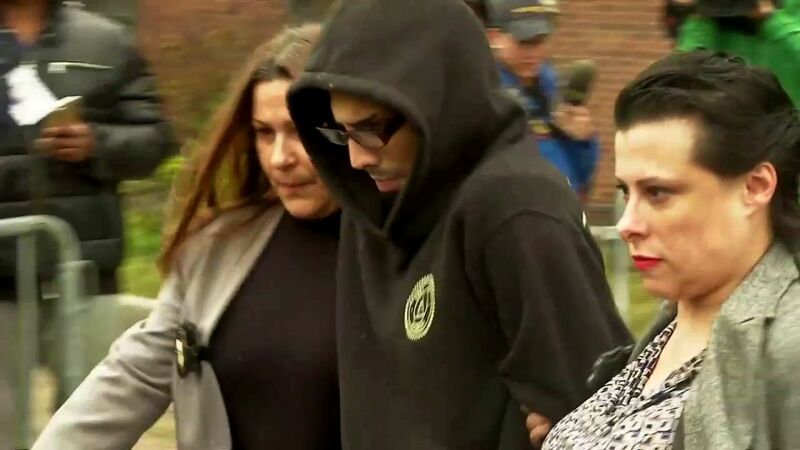 Jayden Jordan is on life support at New York Presbyterian Hospital after he was allegedly assaulted by 24-year-old Salvator Lucchesse, the boyfriend of Jordan's mother, at their home in Gravesend, Brooklyn. "I caressed him a little bit," dad Guseyn Aliyev said. "You know, I touched him. I told him please wake up." The image of a cute little smile on an adorable toddler replaced by of the disturbing sight of him lying in a hospital bed is something that haunts Aliyev. "It was just too hard, you know?" he said. "I couldn't look at him laying there that way. He had tubes sticking out of everywhere, on his head...it was just too much." Lucchesse was arraigned overnight on four counts of assault and endangering the welfare of a child. He reportedly told police the child fell in the bathtub, but investigators say he was so badly beaten that he suffered a lacerated liver and lost a large amount of oxygen. "He's on life support, his brain is not functioning," Aliyev said. "All the organs are working except the brain." The 33-year-old Aliyev says he and the child's mother are no on speaking terms, so he rarely sees his son. But memories of when he was an infant are happy ones. "I thought he was in good hands," he said. "How am I supposed to know? I would have never expected in a million years that this would happen. The whole thing is crazy." And even crazier to Aliyev is that the city Administration for Children's Services received a complaint on Saturday and initially went to the wrong address. "The whole thing would have been avoided if they had done their job," he said. "Kids are our future. You have to take things seriously when it comes to kids. If somebody calls you, you can't just, 'oh, wrong house,' and forget about it. You have to go and do something about it." Lucchesse has an arrest history with 12 domestic violence incidents. Aliyev says based on that alone, Lucchesse never should have been allowed to babysit his son. The city has now launched an investigation into ACS, as well.